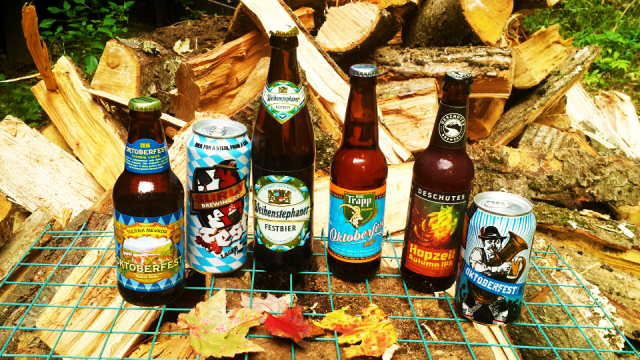 [Sept. 20, 2016]–Oktoberfest 2016 officially began in Munich on Saturday, September 17. It always begins two weeks prior to its bleary-eyed close on the first Sunday in October, meaning the festival is more of a September than an October affair. North Americans are often ignorant of this little tidbit, and presume the whole month is good for drinking the mostly amber malty lagers associated with the name. Why argue? 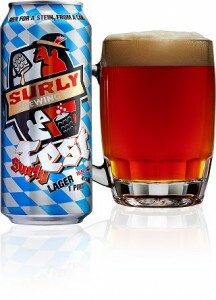 Better than succumbing too early to the dubious pumpkin beer offerings now ubiquitous from American brewers. And once the month is over we can all go back to drinking IPAs everyday. Weihenstephaner Festbier (5.8% ABV—Alcohol by volume): Fest biers are now the norm at Munich’s Oktoberfest, but if light in color, they can still pack a punch, as this example attests, from Germany’s oldest operating brewery, the Bayerische Staatsbrauerei Weihenstephaner in Freising. Rich in bready malt aroma, it has a slight metallic bite, a pleasingly crisp finish and an overall lovely impression. Oktoberfest 2016 (6%): The now-venerable Sierra Nevada Brewery from Chico, California (and now a second brewery in North Carolina) has been partnering with German brewers to annually reinterpret the style. This year’s collaboration is with Mahrs Bräu of Bamberg, and this, too, is in the Fest style, fairly light in color, with a light malt nose, but a solidly bready mouthfeel and bright finish. 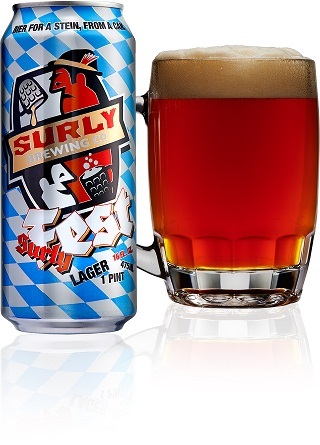 SurlyFest Lager (6%): Living up to its cantankerous name, Surly Brewing from Minnesota claims this beer is wholly their own thing, thank you very much, and it is to the extent that three types of rye go into the tank, and the beer is dry-hopped. Both are quite evident, the hops particularly in the aroma, the rye in the spicy palate. 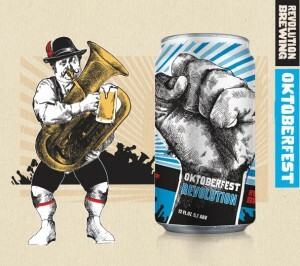 Oktoberfest Lager (5.7%): Revolution Brewing of Chicago opened its doors in 2010, and now claims to be the largest craft brewery in Illinois. Despite the brewery name this is a fairly middle-of-the-road interpretation, subtle but alluringly fruity, with a sweet malt aroma and palate. Should be no complaints from the proletariat. 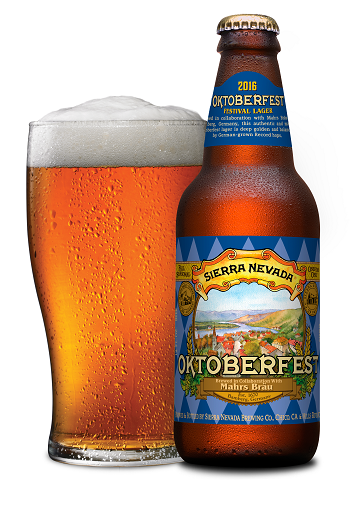 Oktoberfest Lager (5.6%): From von Trapp Brewing in Vermont—yes, those von Trapps—comes a light copper Märzen with a muted but toasty malt nose, a fairly light caramel flavor but all nicely crisp on the palate. 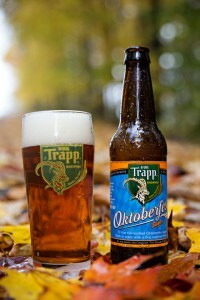 Lagers are the von Trapps’ thing, and this seasonal is another solid one. HopZeit Autumn IPA (7%): What were we saying about IPAs? So Deschutes Brewery out in Oregon decided to make a Märzen-inspired IPA, a category mish-mash that would probably have the Munich burghers rending their Tyrolean hats. 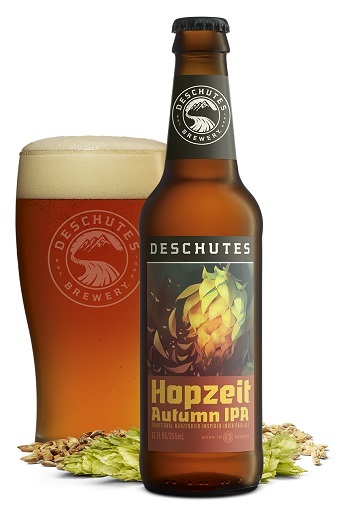 Think hoppy brown ale and this ode to Autumn should work for you, and take comfort in the Deschutes marketing hashtag: #saynotopumpkinbeer. This piece originally appeared in the October 2016 issue of Destination Travel & Golf in somewhat different form.